At the Committee meeting on 22nd March, CASE waved goodbye to Committee member Ros Lea as she embarks on a new phase of life, aka retirement - although she will not be disappearing from the scene entirely! Ros first joined the Committee nearly 10 years ago in 2008 as a representative for The Society for Vascular Technology of Great Britain and Ireland (SVT) and trained as a CASE Accreditor soon afterwards. In that time Ros has seen a lot of changes both within CASE and within the field of sonographic education and has remained enthusiastic and supportive throughout. Meeting up with old colleagues and meeting new, like-minded, committee members. Going on accreditation days and seeing how other ultrasound departments work. Learning something new in working on CASE Committee and attending accreditation days. Feeling that I was contributing to help keep a high standard of ultrasound training across a variety of courses. Eventually feeling like I actually knew what it was all about and then being able to contribute positively. Learning about CASE and what all the abbreviations meant. It was all very new at first, and took a while before I understood all of the abbreviations especially what APMR* was all about. As with all volunteer Committee members, CASE is very appreciative to Ros for the time and commitment she has put in over the years and we wish her all the best for the future. Ros’s departure leaves a vacancy on the Committee which SVT will be filling soon. * APMR = Annual Performance Monitoring Review! Following a successful three-year stint as CASE Chair, Gill Dolbear has stepped down and existing Committee Member, Simon Richards has been appointed as our new Chair. Simon is the Programme Leader for Medical Ultrasound at Teesside University and has been a representative of BMUS on the Committee for over three years. Gill will now move into the role of Vice-Chair to support Simon. CASE wishes them both well in their new roles and our thanks go to Gill for all the hard work she has put in over the last three years. CASE is pleased to announce that the Chartered Society of Physiotherapy has joined the Consortium with effect from 1st October 2016. The Chartered Society of Physiotherapy (CSP) is the professional, educational and trade union body for the UK's 54,000 chartered physiotherapists, physiotherapy students and support workers. Founded in 1894 and awarded Royal Charter in 1920, the CSP has grown to become the profession's largest membership organisation. CASE is excited to be working with a new member organisation and we look forward to benefiting from the expertise and knowledge that CSP will bring to our world. You can refer to the 'Who We Are' page to see which members of CSP will be joining the Committee and for more information on the organisation, its work and its history, visit their website here. 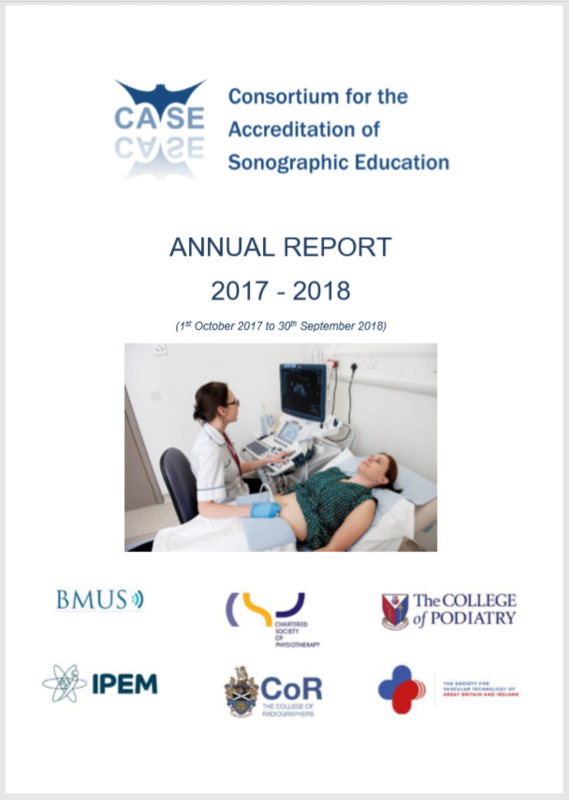 Following some feedback on the new CASE handbook and some queries that have been raised by Course Leaders, Accreditors and Committee Members, we have made some minor revisions to clarify a few points. The latest version is now available to download from this site. At the back you will find a 'Document Revisions and Amendments' table so you can see straight away what has changed. We will continue to act on feedback and suggestions to keep the handbook relevant and updates will be made periodically so please ensure you always refer to the latest edition which is published on the website if you need to check the handbook for anything. 28th April 2016 - CASE gets Social!